Wilson’s work ranges from products for the mass market for global brands (Swarovski, Levi, Nike, Adidas, Audi and Manfrotto) to one-off handmade commissions for individual clients. His designing is rooted in his love of street culture and playful relationships with designed objects. 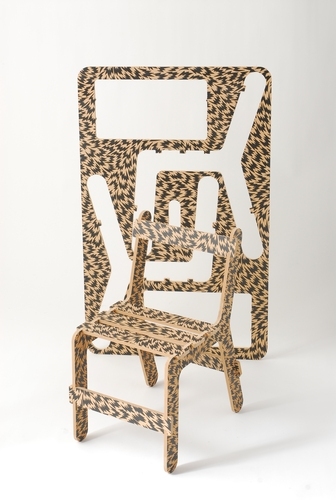 Chairfix Junior was inspired by Airfix self-assembly aeroplane kits. In Wilson’s design, chairs are routed from one sheet of birch-faced plywood with minimal wastage, the sheet co-functioning as the package, lightweight and easily transportable (126 flat-pack units fit on a standard euro pallet). 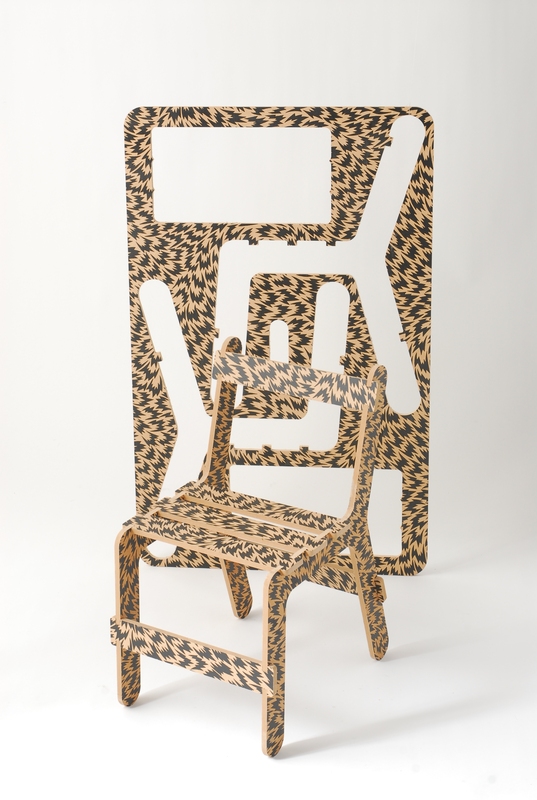 The user pops the individual pieces out of the frame and snaps them together without glue or screws. There is growing awareness that operational energy costs are falling in the case of whole buildings, thanks to energy efficiency measures, while embodied energy costs, currently estimated at c.20% may rise to 40% in the coming years (Vukotic, Fenner and Symons, 2010). 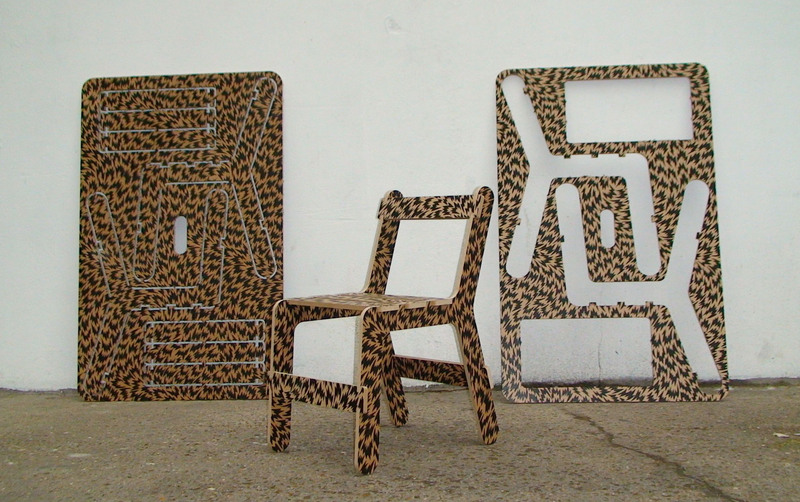 Choice of materials as well as processes is decisive: while laminated ply has a higher embodied energy cost than worked timber (Bribián, Capilla and Usón, 2010), the absence of metals, along with ease of recycling, counts strongly in Chairfix’s favour. Conceptually, the design explores Wilson’s territory of inventive playfulness. Whereas, for an adult, self-assembly may be a chore, for the child owner it is a vital part of the experience. The pale birch surface makes decoration easy, legitimising a child’s urge to personalise and individualise a mass-produced object and reconceiving the manufacturer–customer/adult–child relationship. 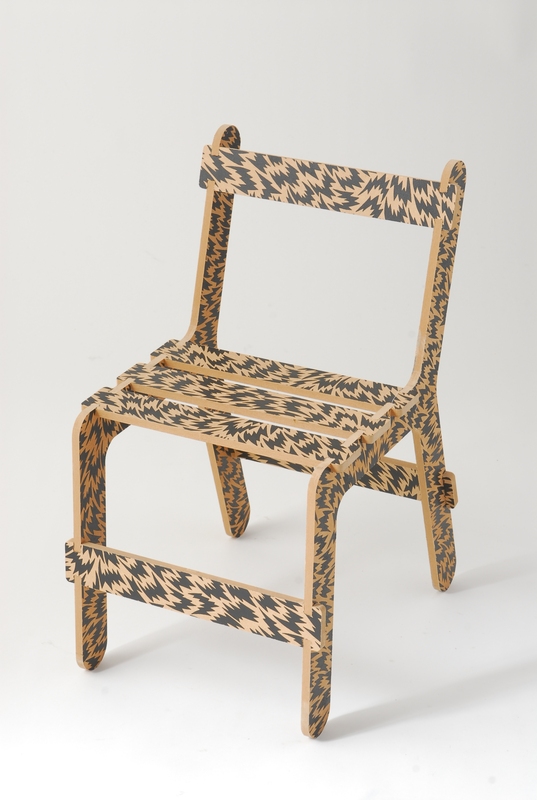 Chairfix, the predecessor of Chairfix Junior, featured in Brower, Mallory and Ohlman’s ‘Experimental eco-design: Product, architecture, fashion’ (2009), in Parsons, Thinking: Objects – Contemporary Approaches to Product Design (2009), and on many design and environmental blogs and websites internationally. Chairfix Junior has been similarly recognised by bloggers and other social media.